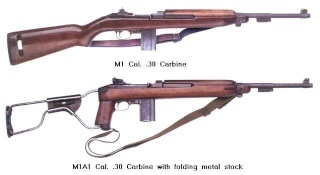 My good friend and fellow Carbine collector in L.A, Jim MOCK, (who runs the Bavarian Site), has just started a new site dealing with all the aftermarket/civilian (Non USGI) M1 Carbines. It is a work still in progress but looks excellent so far. Have a look, http://www.m1carbinesinc.com/index.html. I think you guys will be interested. You can e mail Jim thru the site if you think you may have something to offer. Cheers guys, Mike.